Summer 1890. Guy Clements, spoilt, rich and charming, has invited his friend Max Fareham to spend a month of hedonistic leisure at his London residence. Meanwhile below stairs, clever, streetwise Madeleine Peterson is hatching a scheme to lift herself out of domestic service and her brother Michael out of prostitution. A few streets away, amateur spy Louis la Rothiere is gloating over his latest cache which may, just may, turn out to be the scoop of a lifetime. 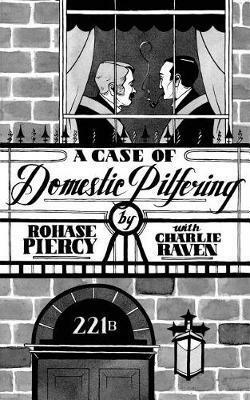 An apparently straightforward case of domestic pilfering is about to take an unexpected turn involving blackmail, mistaken identity, War Office documents and the love that dare not speak its name - and for once, Sherlock Holmes and Dr Watson find themselves repeatedly and hilariously wrong-footed. Rohase Piercy was born in London in 1958 and now live in Brighton on the South Coast of England with her husband Leslie and dog Spike. She has two grown-up daughters.